If you’re spending more time fussing with technology during your conference calls than you are presenting the material, you need a technology upgrade. An all-in-one video conference system is an excellent tool to make your conference calls more productive. One option popular among many businesses and other large organizations is the Crestron Mercury system. The Mercury system is easy to use and has built-in wireless presentations tech, HDMI connectivity and seamlessly works with any laptop through use of a USB hub. Mercury devices are designed to work with a wide range of presentation platforms, including PowerPoint, which free you to focus on productive work rather than worrying if your presentation will open. Digital whiteboards are another recent innovation that can improve productivity. These devices are made with sharing software to allow whatever is on the screen to be shown on a web browser or TV display. These whiteboards also save a screenshot anytime a change is made during a presentation, and you can compile those screenshots into a slideshow for later use. They’re relatively simple devices but they pack a lot of power, making them a worthwhile addition to your conference room. Improving your business’ security with an automated scheduling and access system is a smart move not only for your conference room, but also for your entire operation. Systems like these let your employees remotely book a room for a meeting or a project as well as see who else may have booked the room throughout the day. A system like this lets you get more work done by cutting down on scheduling confusion. Automated lighting control is another system that makes a great fit for both your conference and your larger workspace. Installing a lighting control system can help you lower your energy bills while simultaneously adding some comfort to your building. By combining automated scheduling with a network of sensors, your lighting control system will make sure only rooms that are in use are being lit. 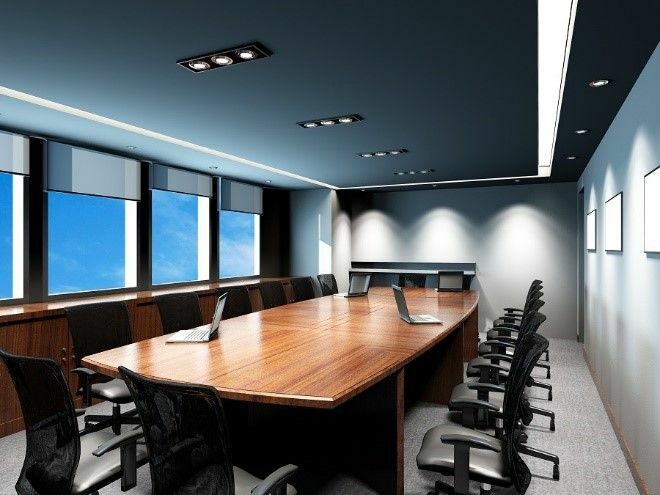 Another benefit from lighting control is tunable lighting, which improves employee productivity by creating lighting conditions that align more closely with their circadian rhythms. The number of connected devices in our homes and places of work has exploded in recent years, putting greater strain on your network to deliver the performance you need. To keep your network and digital assets secure, our commercial technology experts can take a look and see if it’s time for an upgrade. Intrigued by any of these technologies and how they might be able to help your business? Call Insight Automation International at 403-243-8823 or visit our website.